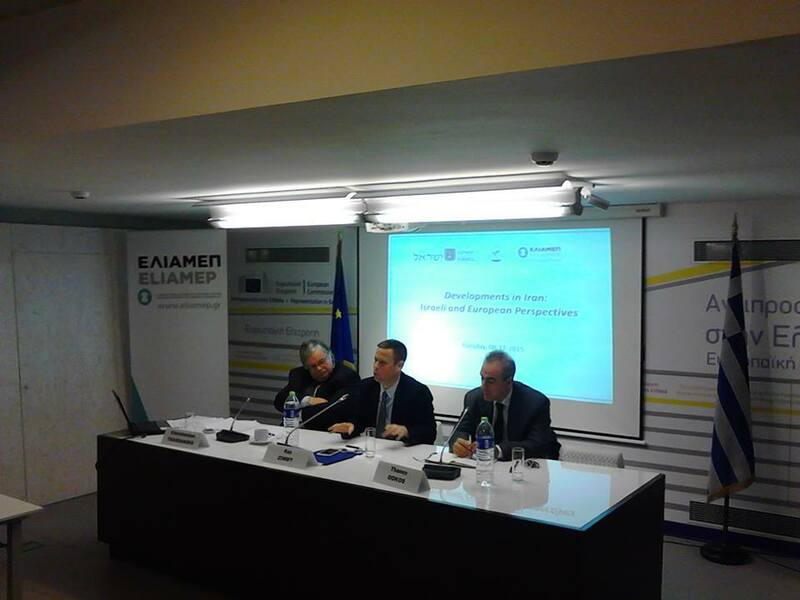 On Tuesday 8 December 2015 the Hellenic Foundation for European and Foreign Policy (ELIAMEP) and the Embassy of Israel in Athens organised a discussion on the theme of ‘Developments in Iran: Israeli and European Perspectives‘. The main speaker was Dr Raz Zimmt, Expert on Iran and Research Fellow at the Alliance Center for Iranian Studies at Tel-Aviv University. His talk was followed by comments made by Dr Charalampos Tsardanidis, Director of the Institute of International Economic Relations; Associate Professor, University of the Aegean. Dr Thanos Dokos, Director General of ELIAMEP moderated the discussion. The event took place at the Representation of European Commission in Greece.